I was a big soda drinker a few years back. I sadly admit I was drinking at least one diet soda a day. Back then, I thought if it were calorie-free or sugar-free then it was fine. I now know better and if I’m going to have a carbonated drink it definitely won’t be diet. Between sugar and artificial sweeteners, sugar is the lessor of the two evils. But what was it that I actually missed? Was it the sugar, the unpronounceable chemicals, the taste? I realized it was none of those. I didn’t miss drinking Coke or ginger ale, I missed the fizz. I liked fizzy drinks, surely there had to be something I could make that would be healthy. 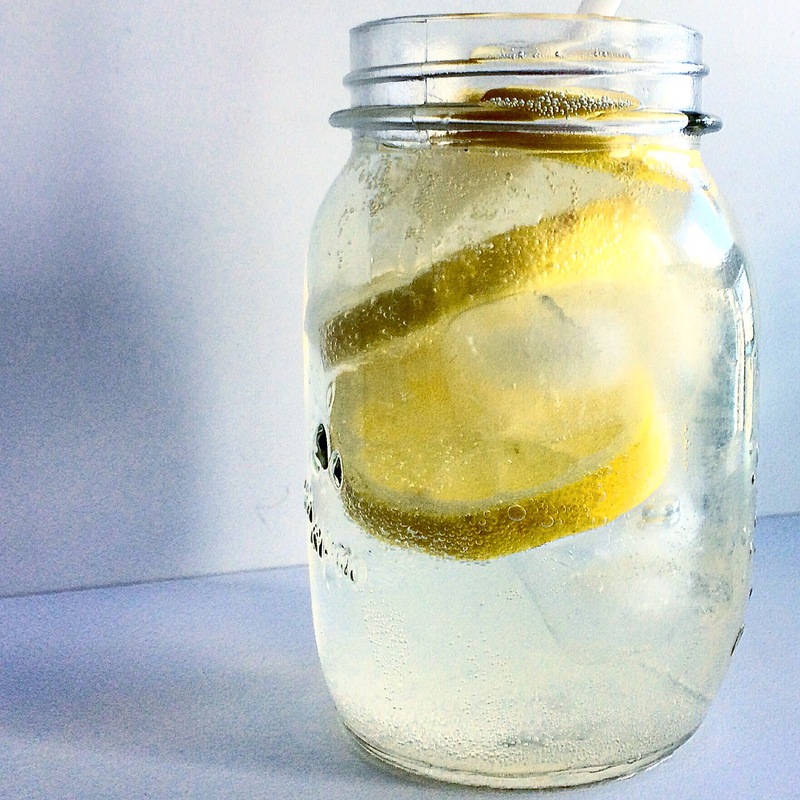 I drank a lot of lemon water, so I mixed soda water and lemon together, added a splash of stevia and Voila! I had my perfect soda. Juice the lemon into a large glass. Add a few drops of stevia. The liquid stevia works best as it dissolves instantly. Add the sparkling water. I like the PC sparkling mineral water that is sodium free. I drink this all the time, it’s so refreshing and good for you. This recipe is for 1 glass as I’m usually making this for myself, but can be doubled or tripled and put in a pitcher with ice and lemon slices for entertaining.